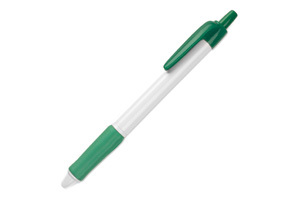 Biodegradable ball pen. The plastic material used to produce this pen comes fromcorn. Excluding the grip, this product is 70% biodegradable.